To those brave people – the concert-goers in Manchester, the people on London Bridge and in Borough Market, the emergency services who acted so swiftly. My thoughts are with all those affected. 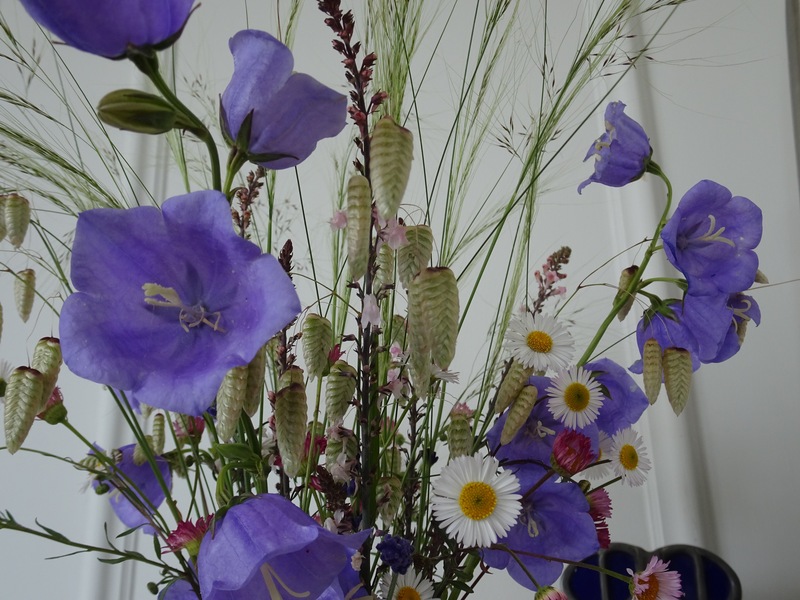 My Monday vase this week contains Canterbury Bells (Campanula medium), Linaria purpurea ‘Canon Went’, Stipa tenuissima, Quaking grass (Briza maxima), Erigeron karvinskianus and lavender. Thank you to Cathy at Rambling in the Garden for hosting IAVOM and giving me the excuse to focus on nature and beauty for a while. 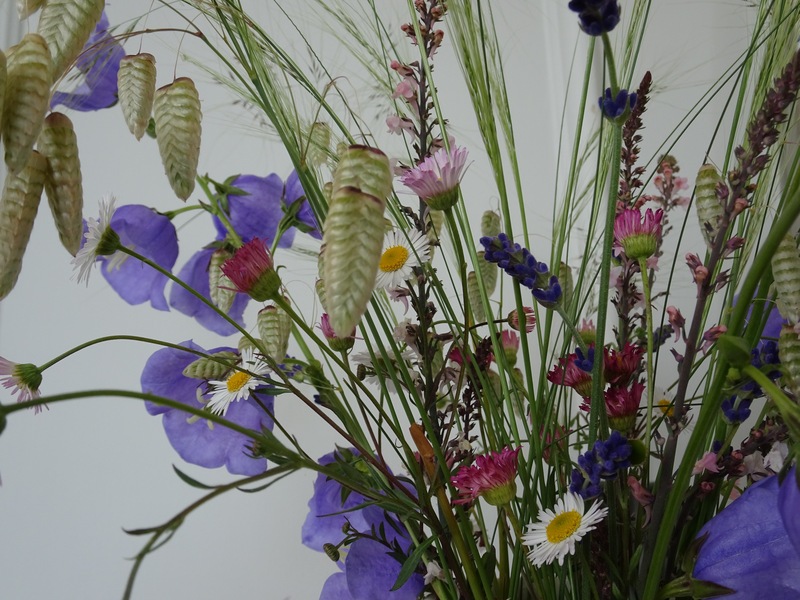 Like a walk in a summer meadow – so lovely! This is a lovely testimonial, Sam. I’m heartbroken every time I see or read coverage of these events but I admire the way the members of the British public have responded. Beautiful arrangement and thoughts Sam. What’s happening at the moment is truly heart-breaking, and flowers are the perfect reminder that there are still fine things – and millions of very fine people on our wonderful planet. 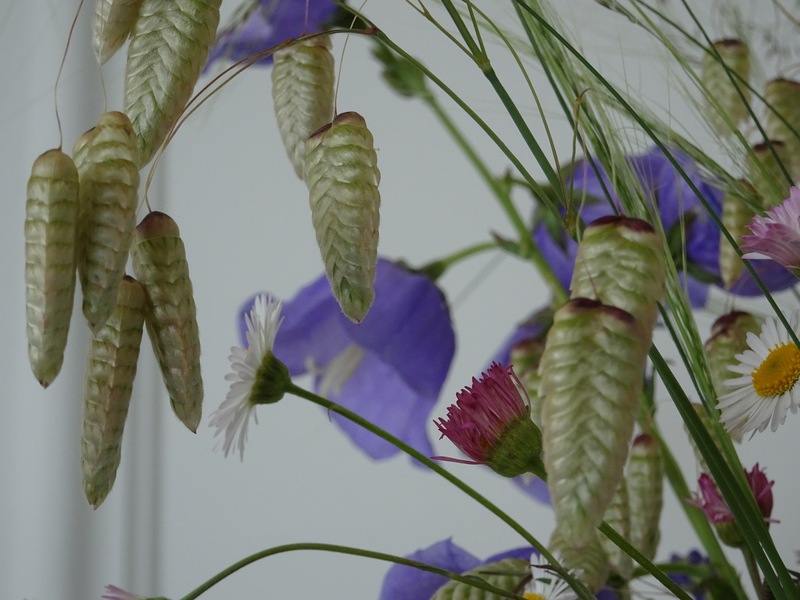 I did love the grasses – the little lockets of the Briza are perfectly in scale and contrast with your other elements. 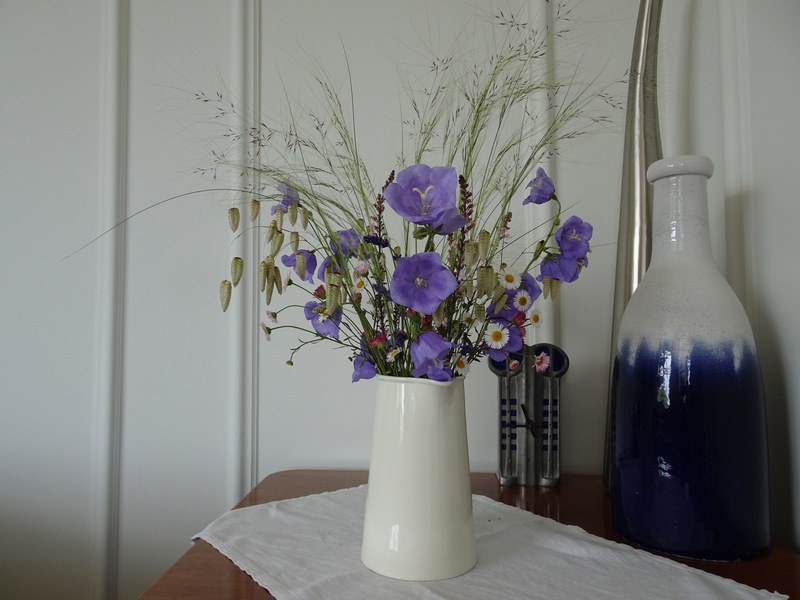 Have a good week and thanks for sharing both vase and thoughts. 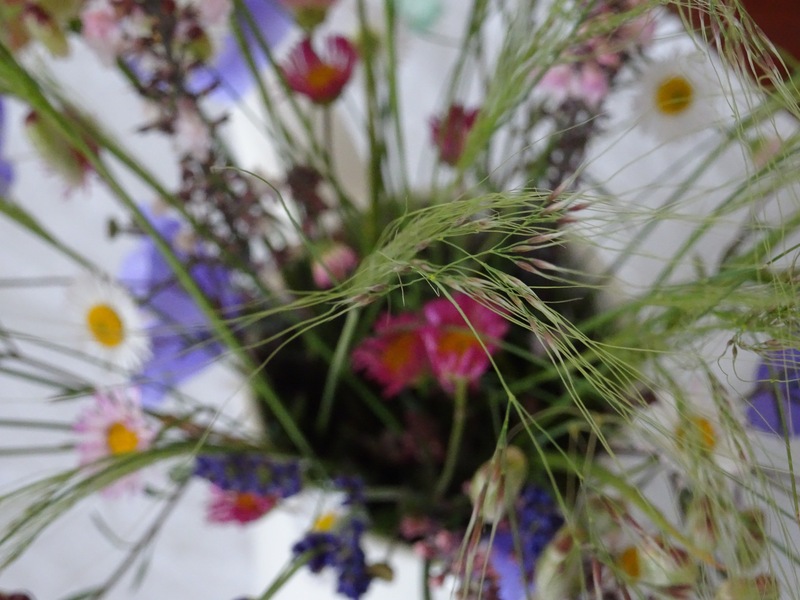 You have managed to capture those grasses so beautifully Sam! 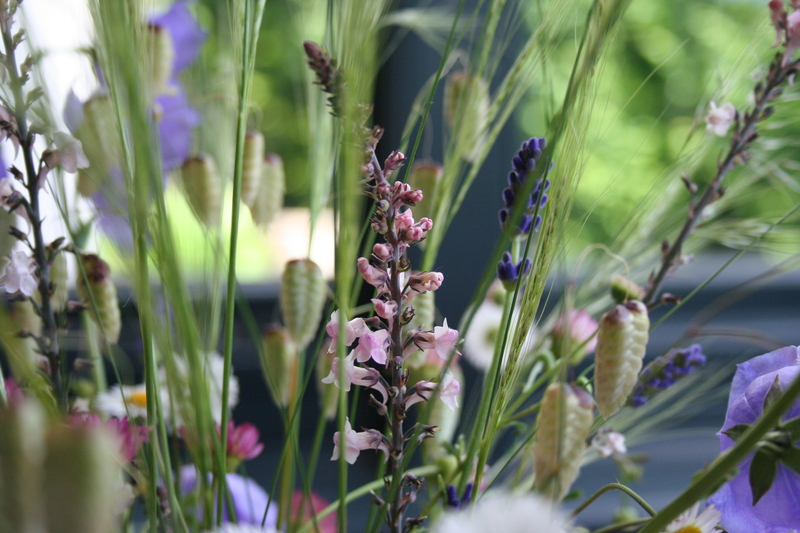 I love the pink Linaria… mine have all come up purple this year….? 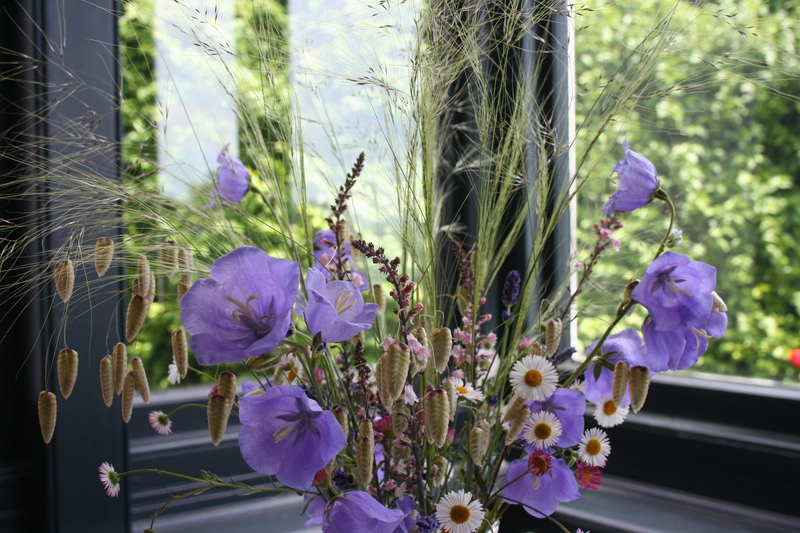 I grew these linaria from seed but all the others that self-seed about the place are purple. It’ll be interesting to see if any seedlings from these come up pink or purple. One self-seeder has just opened – and it’s pink! 🙂 The only one I have left now. The purples are definitely stronger. So pretty, your arrangement would look lovely on a greetings card. We really need the sanctuary of our gardens when world events grow ever more dark and vicious. 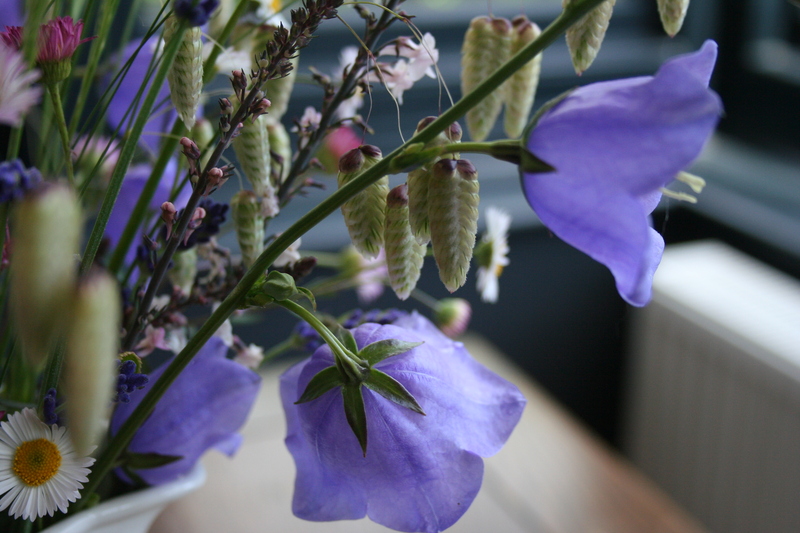 I love the Campanula and the Briza. The attack in London was so vicious and stupid. It seems like we are regressing to a sort of Dark Ages mindset. Most people still mean well, though, and a few are courageous. Oh, and I apologize for our moronic President.